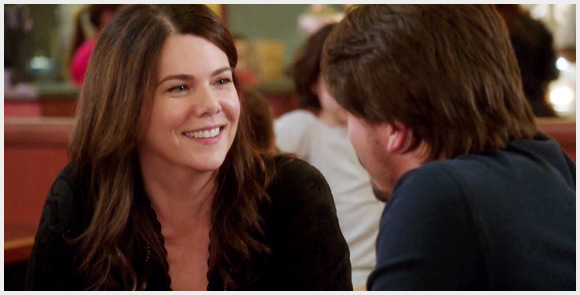 -So last night's episode of Parenthood marked a new record for me. This was the first episode this season that I didn't shed tears. Interesting too because I've been a big fan of Sarah and Mark's relationship, but it didn't get me as much as I thought last night. Maybe it's because I still have hope they'll salvage it? Or maybe because I'm actually really happy inside that Mark finally stood up for himself and put his own well-being over his heart and emotions. Mark had every right to say what he said to Sarah. I think some people might think the "lousy fiance" comment was a bit harsh, but in fact I think he let her off so easily. On top of that, taking a flight back down to see her after she chose work over him?! Sarah should have been the one who felt so bad that she decided to take a flight to Mark and surprise him! Time after time Mark surprises me with his humbleness and sweet persona. That's why I'm such a big fan of him and I actually think he's really good for Sarah; he stabilizes her. But after tonight, although I hope for a reconciliation, I'm weary of how that will play out because of how much she's hurt him. Sarah needs to come to a place of reflection and realizing how true everything Mark told her was (about pushing away the good things in her life). He waited for her once with the whole Seth ordeal, and this is the second time she's pulling the same thing. For the record, I don't think that Hank and Sarah's friendship is romantic on both ends. Hank definitely has deep feelings for her but all I sense from Sarah's side is that she feels bad for him and wants to "fix him" like she said last night. It was the same pattern with Seth, it wasn't necessarily that she was still in love with him, but moreso that she wanted to be the one to save the bad boy. We will see how that plays out next week. I loved that this week we got to see a comedic scene featuring Kristina and not have it be completely Kristina-centric like weeks past. Don't get me wrong, Monica Potter is one of my favorite actresses on the show, but it was a bit refreshing to have a light-hearted episode thrown in after 4-5 really emotional ones. I loved her scene with Julia; I haven't seen the two of them interact one-on-one in so long! Hands down my favorite line of the night, "Alright so I'm actually smoking pot." And Julia's reaction -- priceless. I feel so bad for Kristina and looking at next week's preview I am seriously anticipating the episode like no tomorrow. The biggest question I have is will they really kill off her character? Monica Potter is one of Parenthood's best actresses and the show is only in its fourth season. Seems a bit unlikely, but who knows! I haven't been able to find any interviews or articles with her or the writers discussing this so I guess we'll just have to wait and see. Other than that, another heart warming side to this episode was the final resolution with the Luncheonette drama. Leave it to Crosby to save the day. I LOVE that it was him who came up with that brilliant plan and that he didn't even need a bit of assistance from Adam. Such a great way to end the episode and put that pesky neighbor to rest (we hope). I don't even want to get into the Ryan story-arc. Sorry, it's completely useless and takes up so much screen time that other main characters should be in. Does anyone else miss Jabbar and Jasmine? Or Camille? They've spent too much time making him seem like a central character on the show. Looks like things will be getting very emotional and very exciting in little time. I'm not sure if Parenthood has a winter break this year, but if so, looks like next week will be our cliffhanger episode! What about you? What was your favorite story arc from last night's episode? Are you as tired of Ryan as I am? Are you Team Hank or Team Mark? Sound-off below! The highlight of last week's episode for me was Max. Amidst the tears, the worry about Kristina's tumor removal, and Haddie's decision to take the semester off of school -- Max stuck out most. Throughout the whole episode, I was curious to see how the writers would have his presidential speech turn out. Would he run off stage? Yell at the audience? Freeze up there? The final result was the most heartfelt and gut wrenching speech that a little boy could give. I've found it a little tough to empathize with Max throughout the show because of his lack of emotion. It kind of bugged me that he had not even an ounce of TLC for his mom when she was talking to him about her cancer, but I kept thinking I'll give him that because of his condition. But wow, actually seeing him talk about his Asberger's and why it causes him to act the way he does completely broke my heart. The fact that he repeated exactly what his sister told him in their prep talk.. the fact that he said his condition is his biggest strength as opposed to a weakness-- gahhh! So unbelievably sweet. And I'm so happy that he ended up winning. Of course, who wouldn't vote for someone after a speech like that. I loved watching the camera cuts to the audience while he was speaking. Their faces were so in awe and interest after he changed gears and delved into his Asberger's condition. Other than that, Kristina's tumor removal went well and we are left hanging because unfortunately, the story isn't over for her. In fact it's just begun. She has to start chemo now :( I'm wondering what will happen because they decided to keep this a secret from Haddie. Are they going to keep it a secret from everyone in the family? Just the kids? Curious to find out, because I know Haddie and she will be devastated that they kept this truth from her. Such a solid episode, in fact such a solid season! I'm the type of person that usually picks Season 1 of everything as my favorite (with the exception of Dawson's Creek & Breaking Bad). But for Parenthood the seasons have just gotten better and better! In fact, this might be my favorite season to date. It's just annoying that NBC keeps having these random breaks in between. Not sure if Episode 7 is tomorrow night or a week later, but more to come! Tonight's viewing of last night's Parenthood was a treat for me. I had such a tough day at work --edit: tough week -- and tonight was literally just my lounge around night. My dad and I always watch it together, but tonight was different. We both took our dinner (Persian food, what else?) and sat in front of the TV and watched. It might seem like nothing out of the ordinary, but for some reason it was just one of those "little things in life" moments. We hardly ever take our food from the dinner table and eat in front of the TV, but tonight no one else was home except the two of us, and we were both so excited to watch the episode. The final parts of the episode watching her in front of all her bosses was also a great moment. I loved that they didn't fire her (like we all expected), but instead, put the ball in her court. "We want you to tell us that you are committed." In that moment she was forced to deal with reality and answer that question as truthfully as she could; as in what is the reality of the matter. And she simply quit. I honestly respect her so much for that because when push came to shove, she chose being a mother. And beyond that, this wasn't just any old job. She was there for 9 years and was in the thoughts of becoming partner! And she still chose to leave. That takes major guts and also major LOVE. I'm proud of her. Aside from that, I could care less about the war hero that Zeke has a man crush on. Yeah, yeah, there's some chemistry a'brewin' between him and Amber -- veryy subtle, writers! Pft. And on Sarah's end.. thank God she wasn't into the kiss. Well, okay, I'm being naive, I know that it will only take time until she reciprocates.. but hey, I expected her to be all in, even from this episode. It saddens me because even though I see her saying all the right things to Mark, I know inside she's only trying to convince herself that she's in a great relationship. Actually, that isn't even speculation because you clearly hear her say it too while they're out jogging together. Of course, she says it in her normal dry humor tone, but she says "we're one of those great couples" or something along those lines. And then the whole idea about moving in together.. talk about desperate and talk about CLEARLY trying to convince yourself that you're happy. It just breaks my heart for Mark more than anything because I am certain that he is certain about his love for her. He's so confident in it! The fact that she's been shaky from the start and then again shaky now with New Guy in the picture honestly just pisses me off towards her! But I digress. I honestly think what really hit me the most this episode were the group family moments of ALL of them together. All of them together watching Victor's game & cheering him on, and then all of them together at the pizza parlor after. It sums it all up; there is nothing more important than family. I love their constant support for one another and just the fact that they are a huge family. It reminds me a lot of my extended family friends here who are pretty much like my real family. But I do wish I had that. It just makes me want to have a lot of kids at this point, haha. The last scene... Sadly I have to say that this week I was left a little unsatisfied. I felt like they gave away that entire scene in the preview from last week. I expect more, maybe more reactions or even just a longer length of time placed in the scene. It was pretty quick and all we really see is Sarah's full reaction. Personally, I wish they didn't have the music playing and that we could actually hear what they said in response and feel their emotions as the news sank in, but my dad actually disagreed with me. He liked that all we see is their facial expressions and shock, while the calm music is playing. So it's all a matter of opinion. For me, I just love the dynamic between each of the characters, so I wanted to see for instance, "What will Crosby say to this news?" or "How is Camille going to react to this?" and just watch their individual interactions with Kristina and Adam. But I'm sure more will come to pass next week as we move further along into this season. Unfortunately no episode next week (who knows why?!) ugh, but I will be back with more as soon as it returns! "The Talk" Yet another amazing installment of this ingenius show last night. It's so funny what a difference quality TV makes when you compare it to what you used to waste your time watching. Obviously, I am guilty of having a secret love for Jersey Shore which is horrible to admit, but when I compare Parenthood to the likes of other shows that I used to be obsessed with; like Gossip Girl or even Private Practice, I see such a huge difference in the caliber of the program. Something interesting my dad noted last night was the fact that some shows grip you because of the supernatural events that occur. Take LOST or Breaking Bad for example, two of my family's favorite shows to date. Both these shows engage us because we're constantly in search of the thrill and the excitement for what's about to happen next. What do the LOST numbers mean? Who is Jacob? What is the smoke monster? But when you look at Parenthood... there is no "crazy" event taking place or unreal cliffhanger at the end of every episode. It's just real life. Not edited, not puffed up, not glamorized. It's what we can all relate to because we're all going through life in this same day to day fashion as the show illustrates. I think it almost takes more talent as a writer to come up with a way to portray these life events in a way that they don't seem too exaggerated; and Parenthood does a superb job of this. The show simply tells it like it is. One day you're helping your kids prepare for campaigning in student government and the next day you're told you have cancer. It's so heart wrenching because that is precisely what life is -- a series of moments that are memories to take with you for a lifetime, or other moments you wish you could forget altogether. Unexpected, unpredictable, and random. As I watched last night, I was waiting for the big reveal with Kristina would share the news with her entire family about her diagnosis. Guess we have to wait another week for that emotional conversation! But I actually enjoyed the fact that they aren't rushing into that moment and making it over dramatic. It's more realistic this way. I love watching Adam's transition from being the one who was completely in control to surrendering a bit of that control as he releases he needs to loosen his grip. The cancer is what's fully in control now, and they both are slowly coming to realize that. Amanda Peet seriously needs an Emmy for her performance as Kristina, week after week. She is so unbelievably talented!! Even with her facial expressions she melts your heart. The fact that she is so "THAT" mom that puts herself last and puts the family first kills me. She reminds me a lot of my own mom in that sense. Constantly looking into their needs over her own, to the point that she's even willing to reschedule her surgery so she can be there for Max's election day. I'm looking forward to seeing where that goes next week and for when they break the news to Haddie. But trust me, I haven't missed Haddie on the show one bit. Along the same lines, Zeke's story line was completely useless last night. That was one disappointment. No one cares about your sprinklers and the fact that you feel like you need a hobby? LOL. I liked the little message about being thankful for our soldiers though, but still, the plot point was altogether just a little random. I think what gripped me the most was Jabbar's story line. It was so awesome to see how Jazmyne handled him hearing the N-word. It's funny because I feel like viewers watching can literally LEARN how to parent from watching this show. She spoke so eloquently. And tying in there the fact that Crosby feels left out or that he can't relate literally killed me. Dax Shepard is another one of their actors who blows me away. Just watching him sit there and stare at Jabbar with tears in his eyes as Jazmyne spoke. His facial expressions, the pain, the desire to want to be able to do something but not being able too-- he was able to evoke ALL of that just by the look in his eyes. Hands down, my favorite character on the show. That story line was much needed and I applaud the writers for including that in this episode. Finally, it was great to see more of Joel on Parenthood. Back in the first few seasons he almost seemed like a back-up character (with the likes of Drew and Sydney almost!) It was so good to see the arc centered only around him and Victor.. not even Julia. He is such a sweet guy. Simply put. It killed me when Victor yelled at him and said "you're not my real dad." But then to see the humility it took for him to approach Victor and tell him how proud he was of him -- ah stab me in the heart!! Such unconditional love. And that my friends is a true father. Altogether, I don't think I can ever come across a "bad" episode of this show. And my favorite part of watching Parenthood is the fact that I watch it with my parents. And each week we're just left with tears in our eyes and my dad is going off about how freaking amazing it is. And I could not agree more. Epic writing/ epic acting. What more could you want? "Everything is Not Okay"Every Tuesday night my family and I sit down to watch Parenthood... and every episode I'm literally telling myself, "ok, don't cry tonight, it won't be as emotional" -- and EVERY time I'm wrong! Haha, in tears by 20 minutes in. Last night was no exception. Side note, did you guys know that Sam Jaeger (Joel) directed last night's episode?! I thought it was quite exceptional. Last night amidst the light hearted moments that they tried to throw in, like Zeke getting arrested or Max's tantrums about the vending machine, it was almost impossible to focus on those scenes because of how deep and emotional the rest of the story arc was. We find out more about Kristina's diagnosis of breast cancer and what that means now for her family. I LOVED seeing Adam and her interactions. They are seriously such a dynamic couple and truly believable as husband and wife. It was so on point, seeing him trying to be the one to save her and be the optimist, but in reality right now she just needs someone to be real with her and LET her be scared. That last scene (before Max's interruption) in their bedroom seeing Adam get teary-eyed was almost Oscar worthy. Both these actors steal the cake for their performances, episode after episode. I can't wait to see the big reveal when they share this news with the whole family. I was hoping that would have been this week, but it's actually more realistic that they're taking their time with it. I thought Adam telling Amber was SO out of left field... but the spontaneity actually made it more believable. I can totally see that happening, where you kind of blurt out news that you've been keeping in for so long to the one person who just happens to be at the right place at the right time. Other than that -- the biggest thing I am d r e a d i n g is this new found chemistry between Sarah and Ray Romano (I don't care enough about this character to know his show name, LOL). I know, I know.. the writers need to have some sort of drama to keep us intrigued, but come on! Poor little Mark deserves a break. He was just allowed entrance into the sacred Braverman family portrait, and now they want to create a divide between the two again! Ugh. I was actually really shocked that there weren't more sparks or innuendos between them last night during that wedding scene, but time will tel. I mean, I can tell how a lot of people look at Sarah and Mark's relationship as one that's unrealistic or immature, and one that keeps her in that childish persona she has had. I think the argument would be to pair her with someone older, more stable, and allow her to grow into the woman she needs to be. But I honestly love the purity and innocence in her love with Mark. And you can tell he GENUINELY loves her so much. I am actually rooting for them in a weird way. I've never been a fan of couplings where the girl is older, and in this case like 15 years older, but for some reason they match! I like it. Other than that, I can say that I was bummed to not see as much of Julia and Crosby in this episode, but can't complain because Kristina's story line truly deserves to be at the forefront of the show right now. The writers have truly set up this season perfectly so far. Only two episodes in and I am more attached to this show than I ever thought I would be. PS:feel free to leave your comments and thoughts on any episode that I cover! I love sharing views and analyses back and forth, it's literally my favorite thing to do! Don't you love when you find a hidden gem of a TV show amongst all of the garbage that is currently on the air? That's how I felt when I started watching Parenthood last year. It was right after season 2 had aired and there a few month hiatus until season 3. All it took was the Pilot and I was hooked. So hooked in fact that I got my parents to watch it and from that day on, we would watch 2-3 episodes a night all together (thank you Netflix!) It was to the point that my grandmother from Iran who was staying with us at the time was sitting there watching every single episode, waiting for us to pause and translate for her. This show has everything that an avid TV lover looks for -- AMAZING acting, character development, and realism in its story lines. There are so many shows lately that are so over the top with the drama. And don't get me wrong, we buy into it cause it's temporary entertainment (i.e. Gossip Girl/ Ringer), but it's not something you leave the room and still think about. With Parenthood, in a weird way I literally feel like they are my family.. I can see so many similarities in each character with those in my own family. I'm so emotionally invested in these characters that they feel like friends I've known forever. With the start of season 4 last week, Parenthood is definitely going to be one of the shows I do a weekly cover of. With this post, I'll sum up both the premiere and Episode 402 into one. We're all thinking it -- so why not go with the most shocking reveal of all...Kristina Braverman! Um, WOW. Poor thing :( I think out of all 4 families on this show, my heart really breaks for them the most. It's funny because they are the "typical" American family of the bunch, but the issues they face are so hidden beneath the surface that you wouldn't see it looking in from the outside. With Julia&Joel, it's clear that they're dealing with the adoption of their new son, and with Sarah it's clear that she's trying to pursue her passion while raising 2 teens on her own -- but with Adam& Kristina they are so strong in putting on a brave face that you are kind of left thinking, "come on, why another thing to have to deal with?!" She just had her baby, she's dealing with her daughter living the college life, and raising a child with Asberger's. But in a weird way, it's not shocking at all when you really think about. The show does such an amazing job of telling it like it is... this is life. Life is unexpected, sudden, and full of change. We aren't given any guarantees. Just like it showed so beautifully -- she's thinking about her family and just goes into a regular check-up.. From that one check-up, life has changed forever. I can't wait to see where the season heads from here. Amanda Peet's acting is nothing short of superb and she did an amazing job portraying the emotions of shock and channeling the doctor's diagnosis. I've said it once and I'll say it again, I think I'm left with teary eyes at the end of EVERY episode I watch. This show is gold! I think I'll leave it at that, because the rest of the episode was very routine, compared to the last 10 minutes.